Today, an Bonus Pick as I point you once again towards the sister site to DriveThruRPG, DriveThruCards. 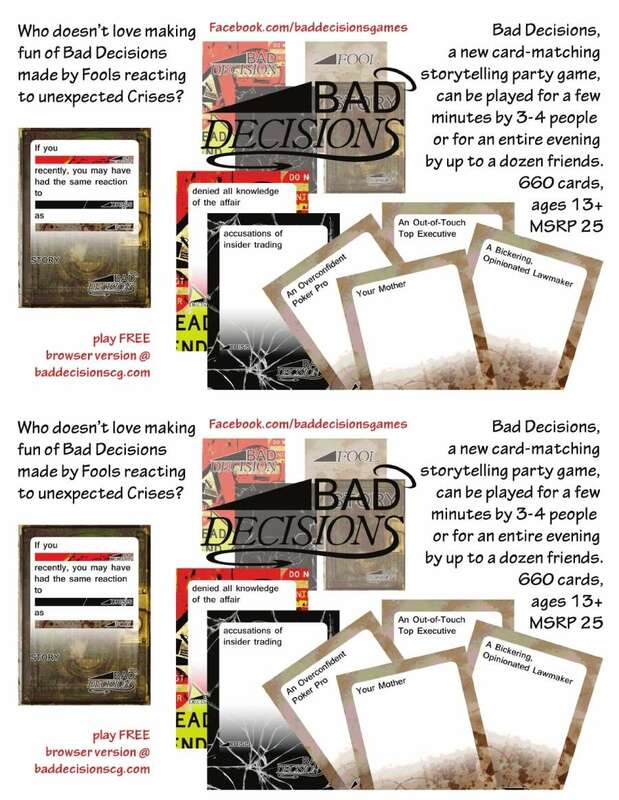 My buddy Ian Price has a cool new card game up called Bad Decisions, and there’s lots more to check out there, besides. Im curious… whats the quality like? I am toying with using them when they get tarot sized cards up for a deck for my Tarot based game Fortunes Wheel.